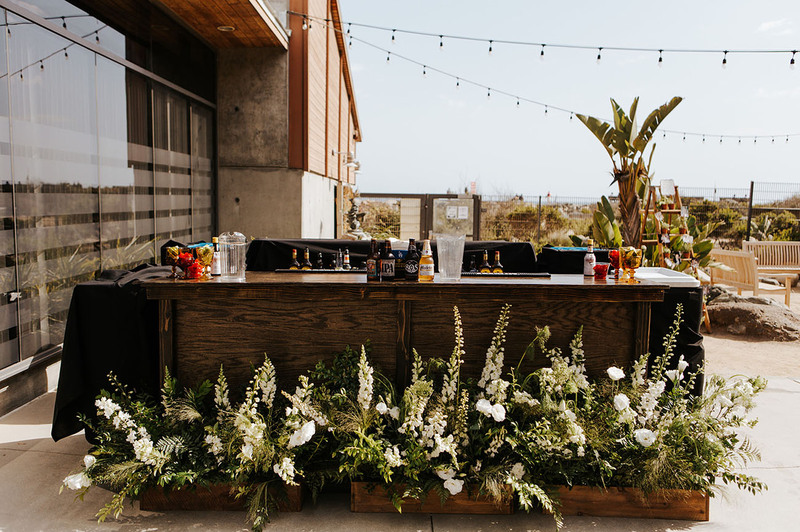 When it comes to DIYs, we LOVE them…especially when weddings are filled with so many DIYed elements! 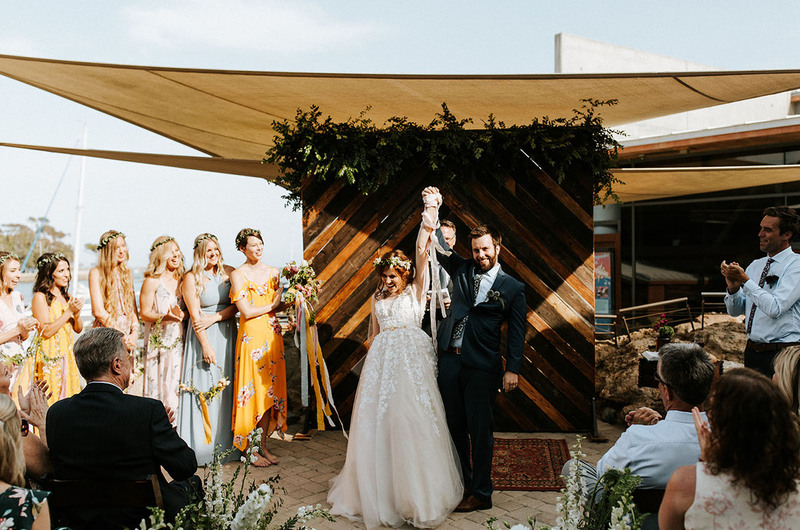 From the wooden ceremony backdrop, to the photo booth, to the antique aisle runners, and even floral hoops for the bridesmaids—Lorraine + Thomas got seriously crafty. 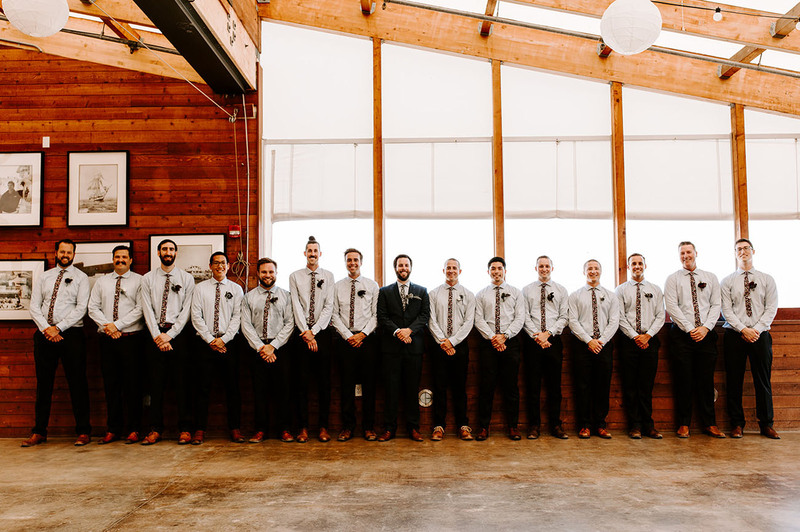 Fortunately, they had the help of their large wedding party (14 bridesmaids + 14 groomsmen, to boot! 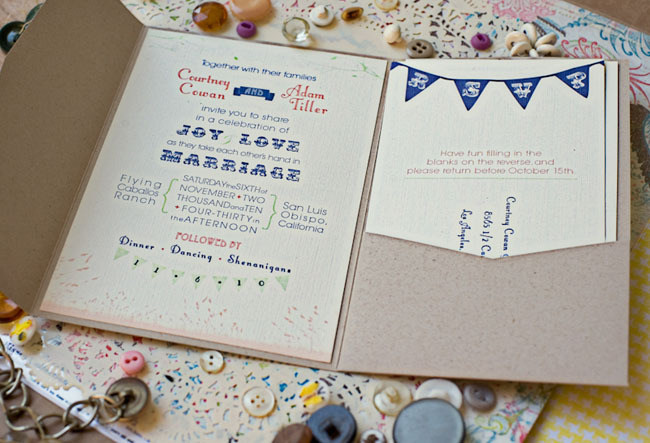 ), and planner, Sparkling Soirees, to make it all happen. 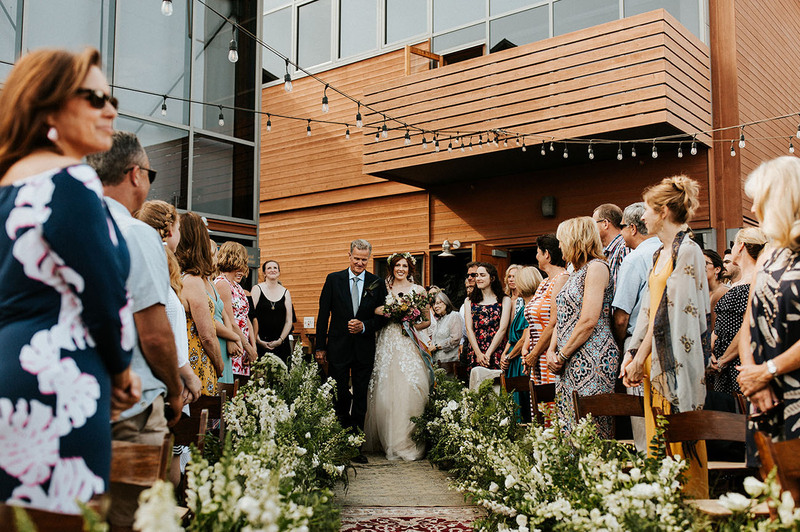 The guests enjoyed lawn games and drinks before heading into the reception. 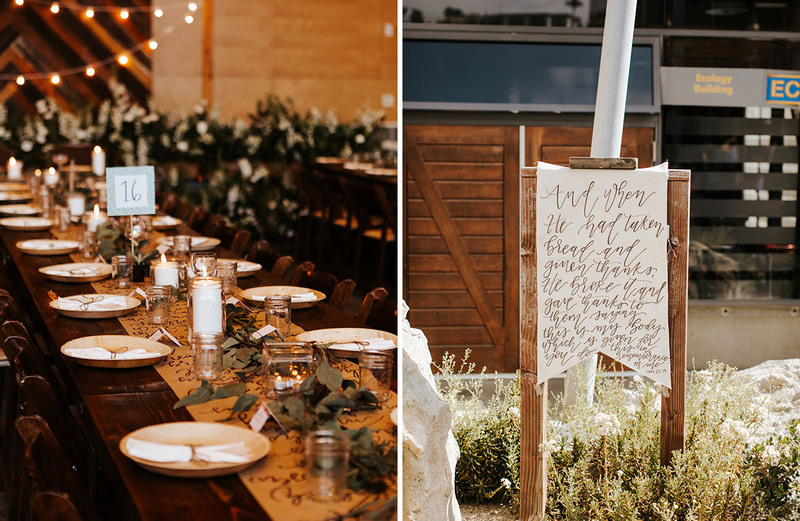 Five forty-foot family-style tables were placed throughout the room, adorned with their favorite quotes from the Bible written as calligraphic table runners, along with eucalyptus garlands. Each table had dozens of candles placed in assorted vintage votives with eco-friendly bamboo plates on each table setting. 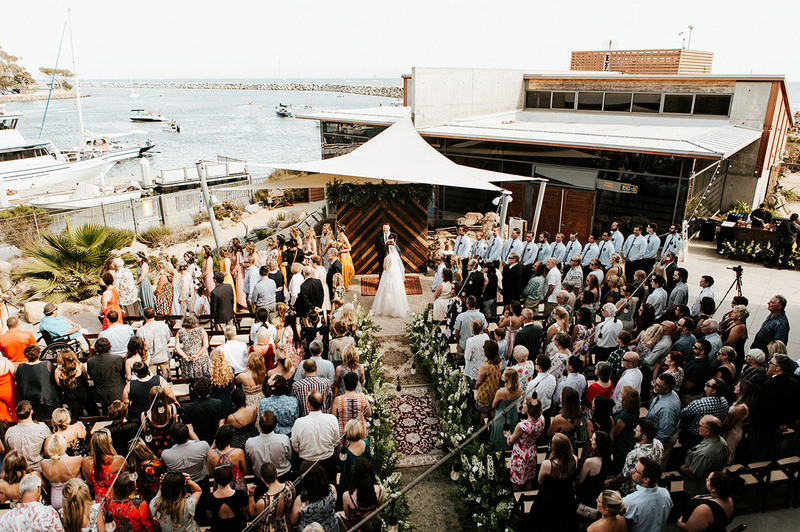 Ready to see how they brought all their craftiness to The Ocean Institute in Dana Point? 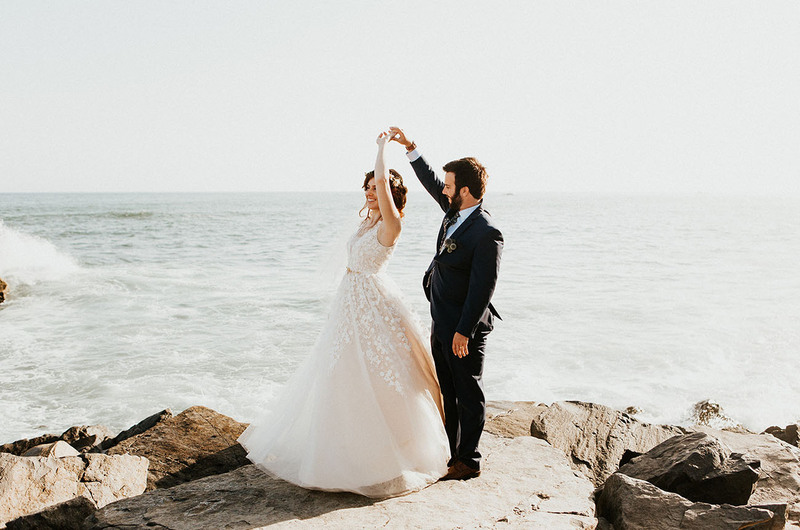 Let’s take a look at all the moments captured by Emily Magers! 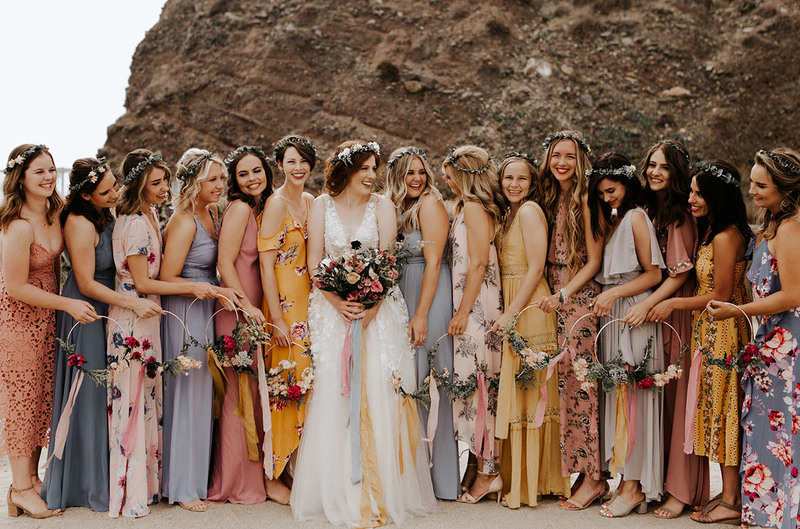 Seriously ADORE how all the ladies got to pick their own pastel-hued gown—plus, they can totally wear these again! 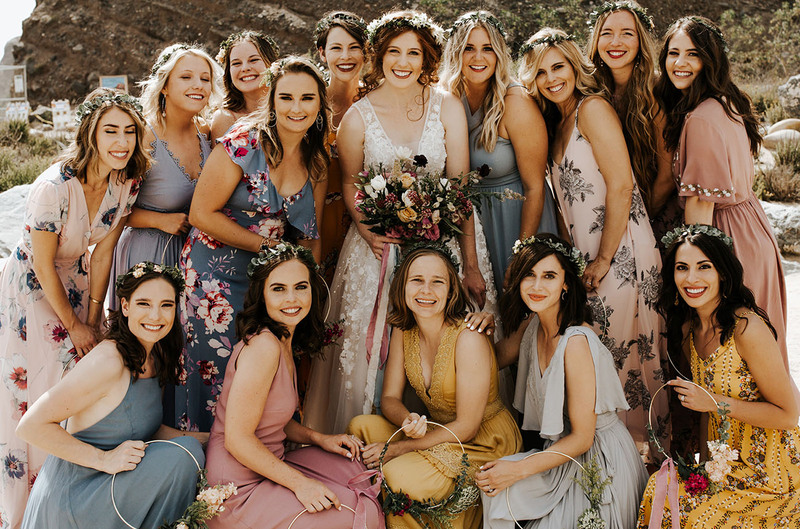 How darling are those floral hoops for the bridesmaids?! 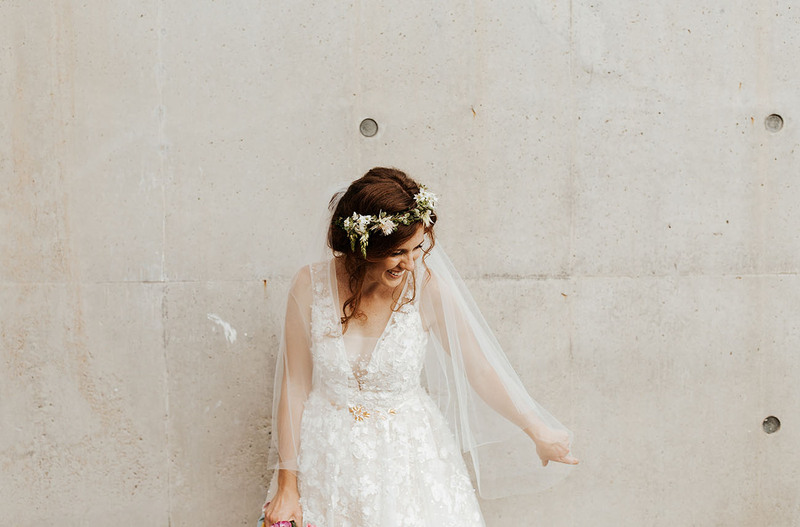 We put together this DIY so you can fashion your own! 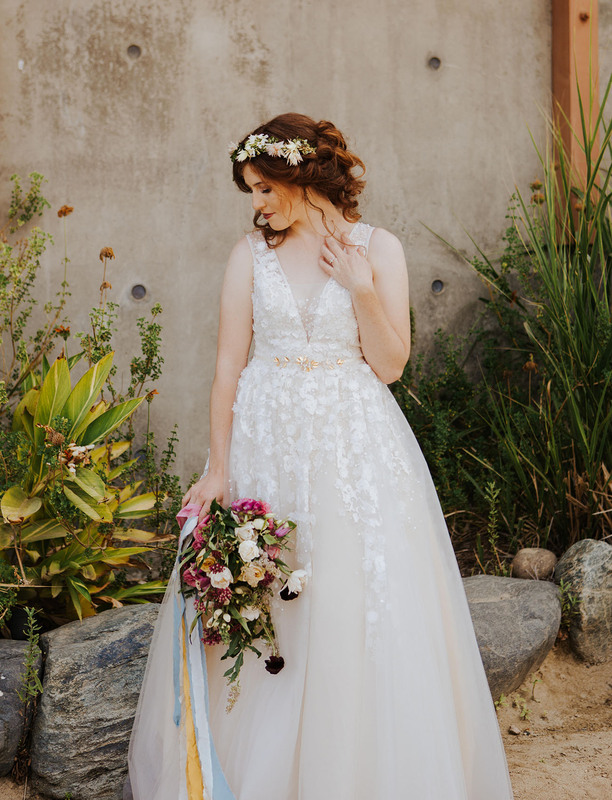 Isn’t that gown dreamy with all the floral appliqués + the gold belt? 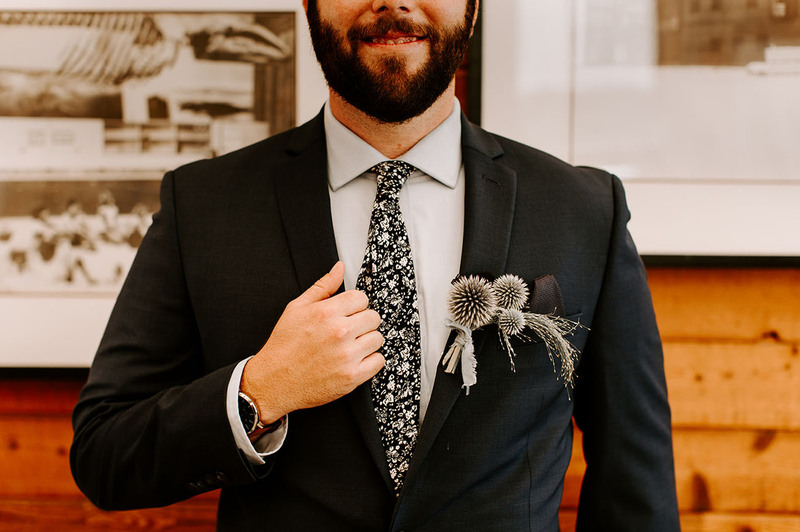 And for the groom + groomsmen, it was all about floral ties!! 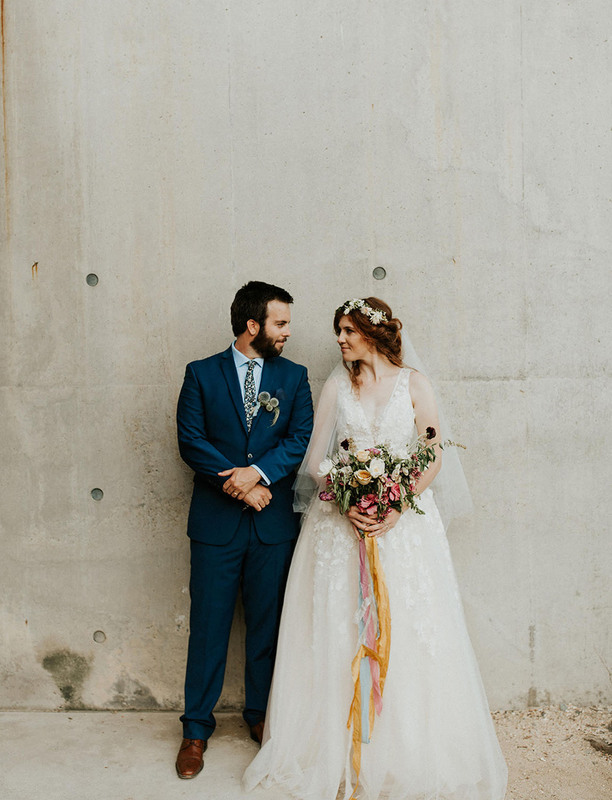 We of course love this trend!! 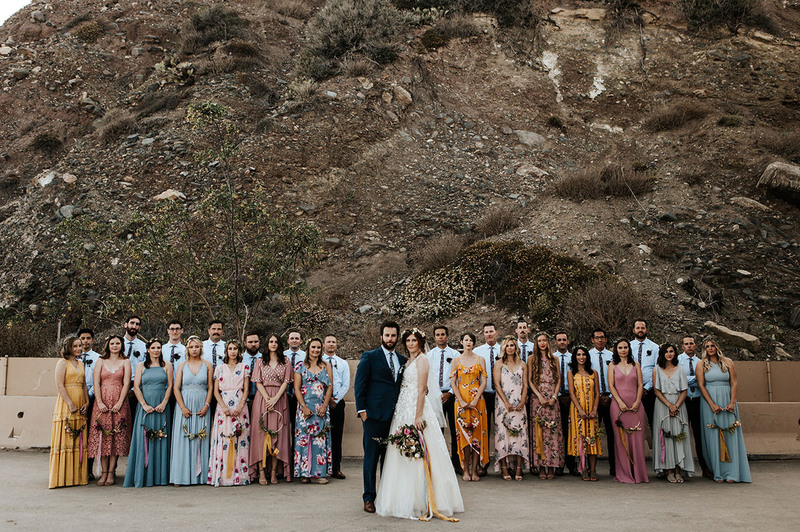 Now that’s a wedding PARTY!! 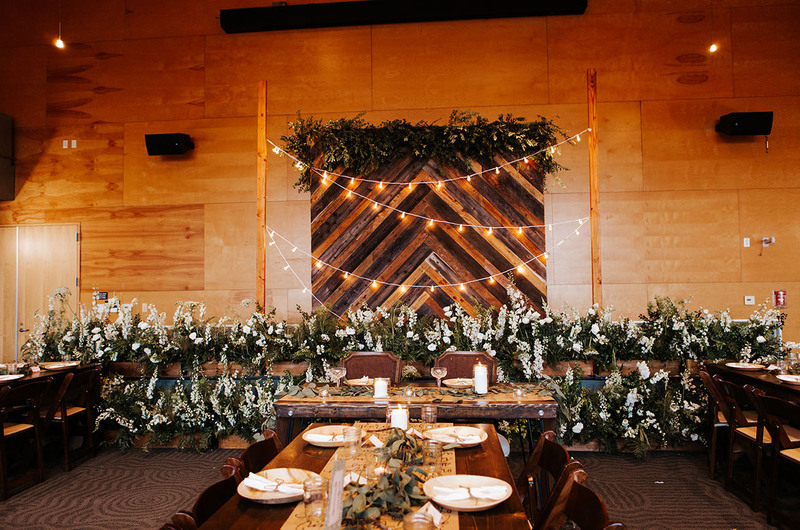 Lorraine tells us: My father-in-law and I made the wood ceremony wall backdrop, which was so special to work on together. We crafted it so that the wood formed a steeple shape within it. 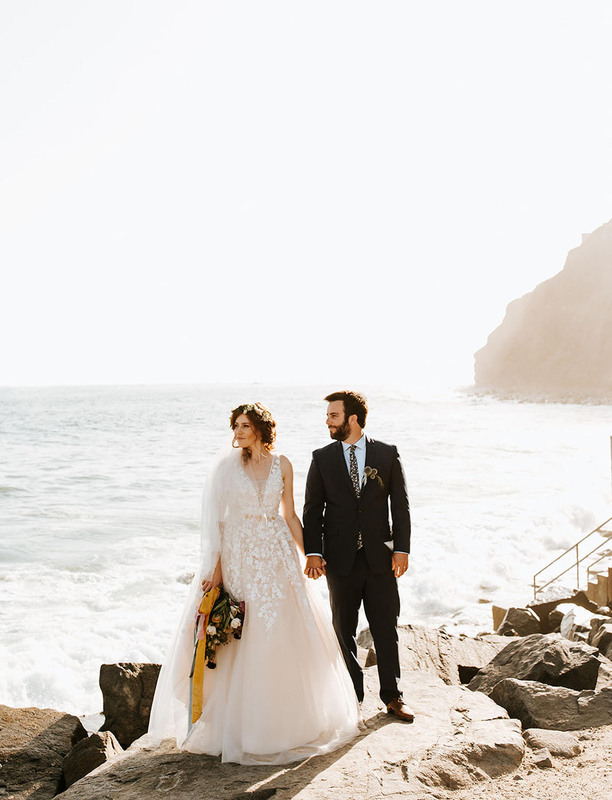 I will never forget the moment of walking down the aisle. Seeing everyone I love in all different parts of my life, who shaped us, loved us, molded us into who both we are—as individuals, and together. As everyone stood and I clutched my dad’s arm, I looked at the faces before me, and it was the closest thing I can think of that heaven would be like. And then seeing Thomas waiting at the end. That moment was drenched in grace & the deepest of joys, the kind that makes you weep & laugh all at the same time. We welcomed every emotion. We desired everything to have an intimate feel, from long dinner tables close together, to lawn games. 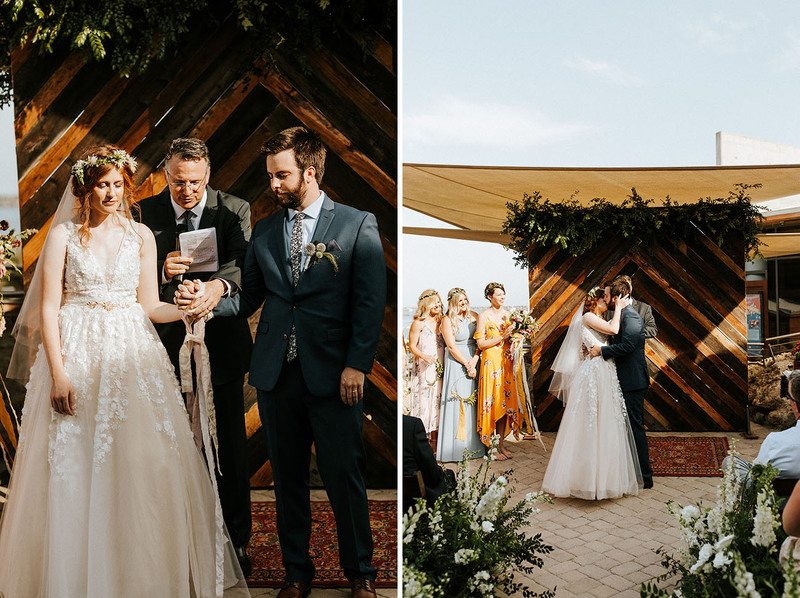 It was important to us to praise God in all parts of the day, and starting the ceremony with worship and reverencing Him, all He is, and all that He’s done for us, was so special to us. 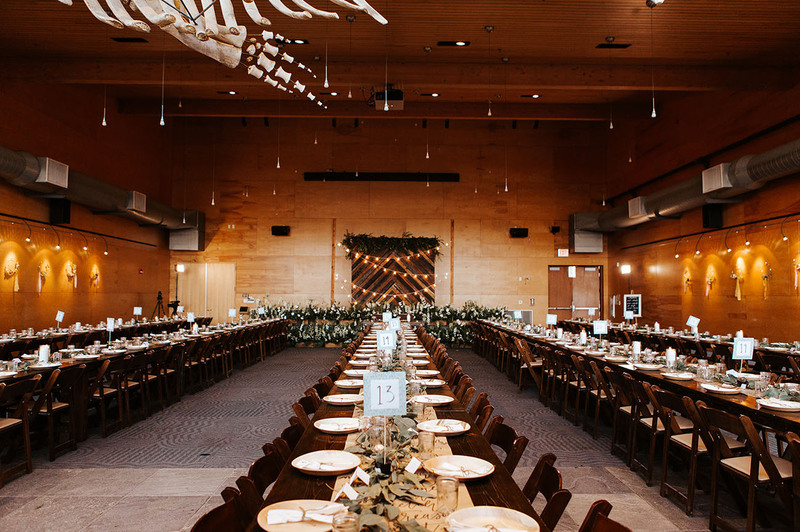 One of my fondest memories is 10 of our close friends had an impromptu let’s-help-with-all-the-last-little-things night the week of the wedding, where we were in an assembly line of hot glue guns, craft paper, wine, guest lists, and chicken nuggets, till 1:30 in the morning. 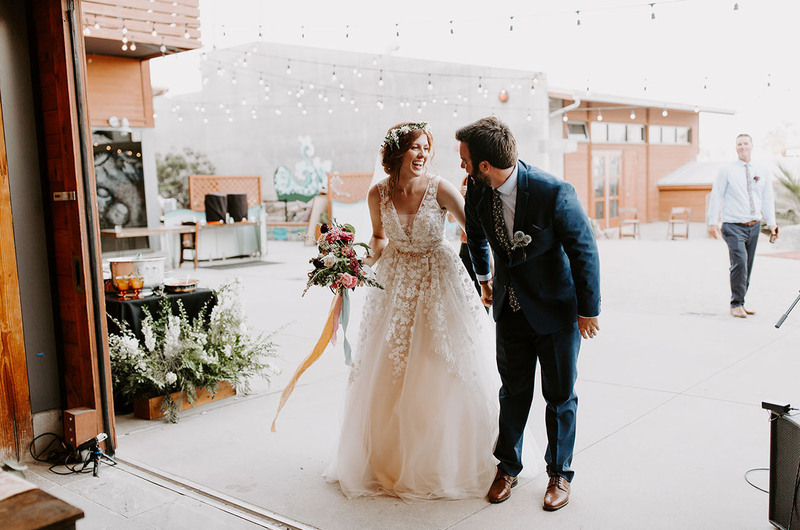 It made me take a moment to stop and celebrate our community and friends who want to be a part of our day, just like they have been a part of our love story. That being said, don’t carry it all yourself, share it with those around you. 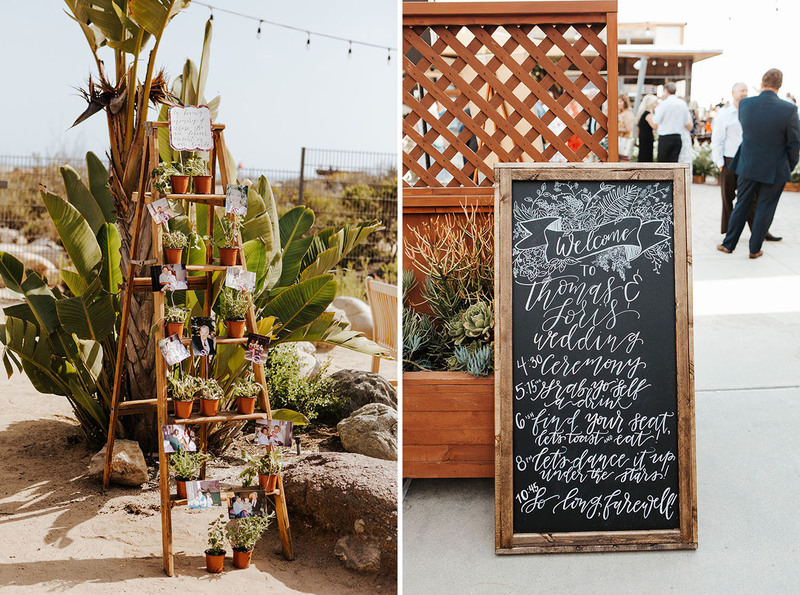 Hannah’s Handwrittens created this darling chalkboard + all of the signage for the reception. 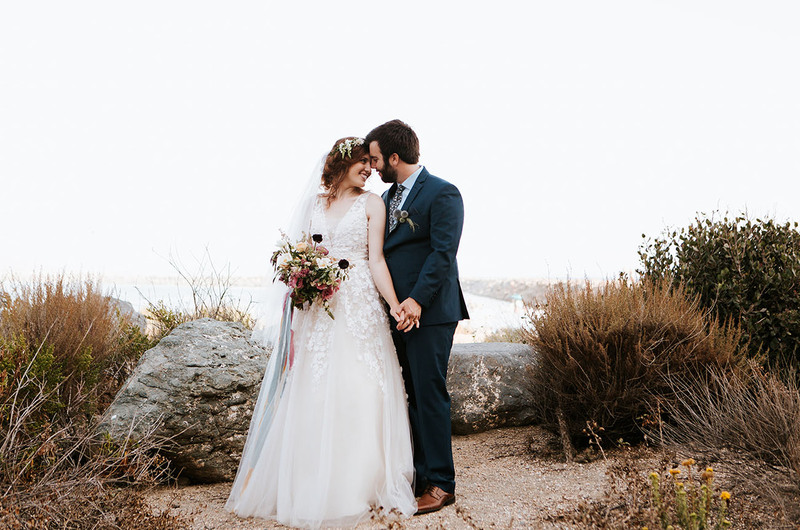 For our vision for decorating, Thomas loves the sea, and I love trees + forestry. 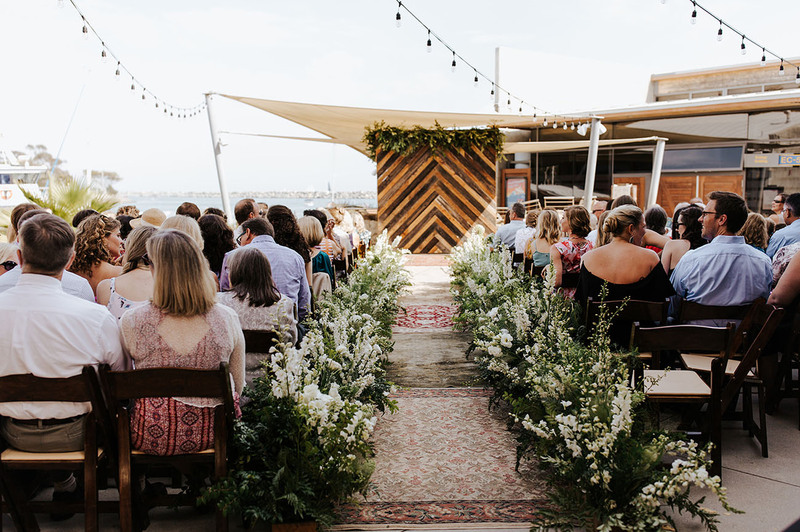 Since our wedding venue was in the harbor on the ocean, we wanted to roughly attempt to make it as if we were in a forest. 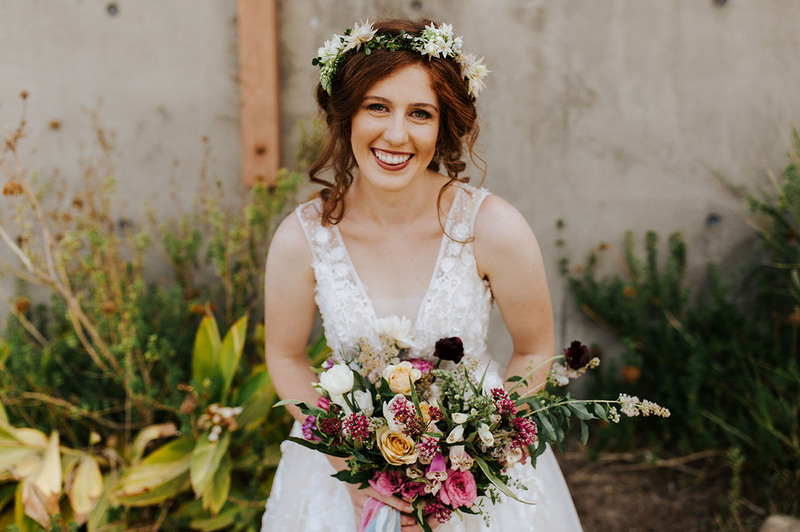 I had described my vision of walking through greenery down the aisle to our florist, Joely with Friend Flower Co, and she made my vision come to life, it was truly surreal. 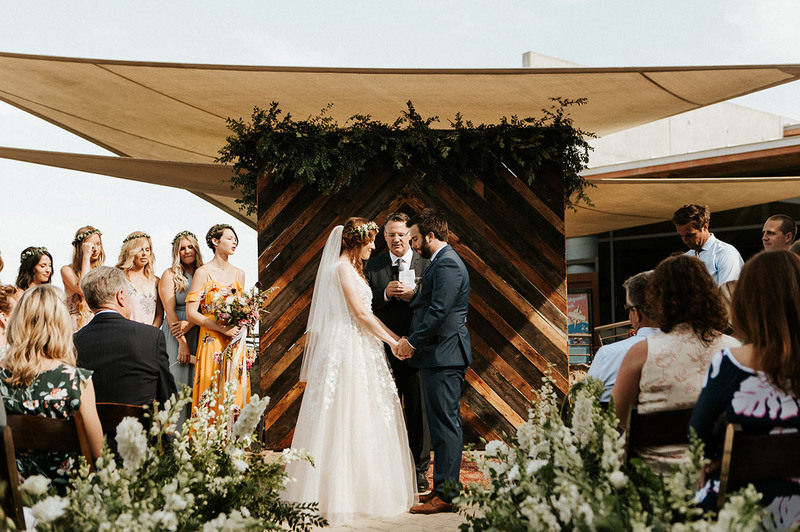 LOVE that they incorporated the wooden backdrop from the ceremony behind the Sweetheart Table! Let people help! To not get lost in trying to fulfill your vision by yourself and to keep your own sanity, hand off tasks to people who offer—however little or simple they may be. At first, I didn’t ask others to help because I feared making them feel burdened. But I realized that everyone wants to help and feel a part of it all! It is also a fun way to be with your people during the crazy time! 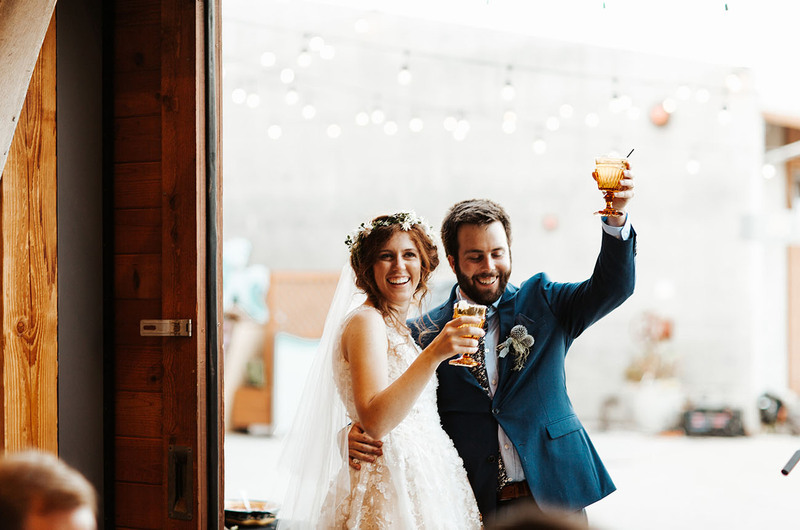 L+T, here’s to the two of you! Congrats!! I love their beach dresses! 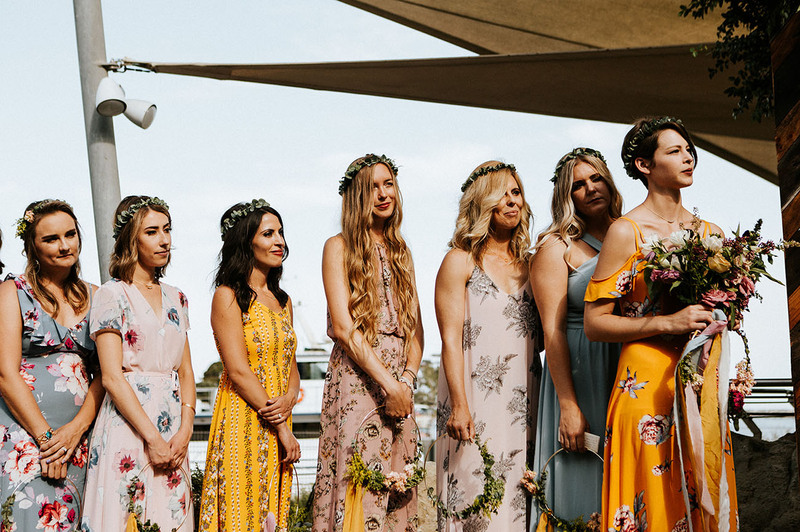 Very bohemian look to them on the beach, including those flower head pieces! 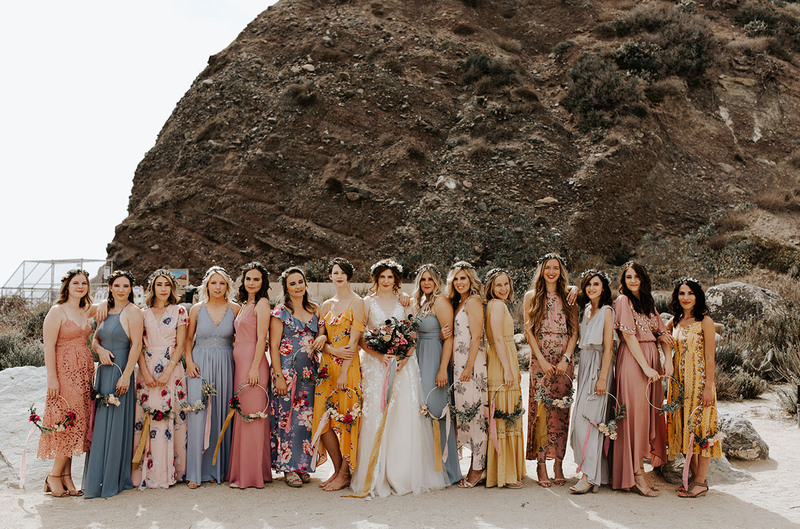 What a gorgeous Bridal Party !